Environmental education by and for la Orotava. La Orotava with its environmental education for young and old doesn't come as a surprise. 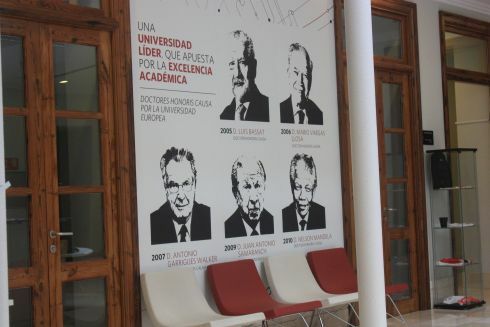 It now has one of most innovative and progressive educational institutions namely a European university. What about environmental strategies in the past? Already in 1997, I discovered how much the town does for its youth and for all who want to acquire values which last. Lasting values always benefit the environment. This was obvious to me when I entered its town hall. There, many skills and courses have been offered until today, all of which benefit the healthy mind and well being of a community. Educating about more than endangered birds and animals on land and in the ocean is important. Recycling and stopping the use of dangerous chemicals like artificial fertilizers and pesticides has an immense impact in this field. Unfortunately, more scientific progress is needed there. However, educating about it is more than a good start. The growth of organic produce is also promoted in La Orotava. Interested people can rent a patch of land and plant their own healthy vegetables. Tips and advice is given by experts to help with the task. Thanks to its mayor Don Isaac Valencia, who has gained the trust and mandate by its people for the 18th time by elections in 2011, all this is possible now. Credit must also be given to his excellent and efficient advisors who all promote what is good for nature and all who live in it. La Orotava gets things done and this benefits the environment. As shown above, education for the environment isn't only important on grass root levels, but also in universities. Studying is for evolution and much more. 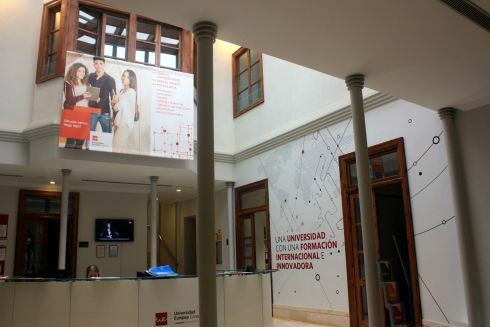 Innovative European University of the Canary Islands in la Orotava. By the way, La Orotava had to fight for the OK for building its University of the Canary Islands. Unfortunately, more than often you have to understand Spanish to understand what's on the environmental agenda. Please note that the emphasis is on preserving Tenerife's fragile nature with forests, parks and the oceans which surround it. Now, your old cooking oil may be recycled, as used frying oil is very dangerous for the environment. It clogs up canalization and will harm our oceans once it gets there eventually. Just fill up your used kitchen oil into bottles and close tight with its lid. Deposit them at one of 26 cooking oil recycling containers anywhere in La Orotava, while being patient until all are in place. From environmental education back to environmental awareness, for which the artistic community of Puerto de la Cruz Tenerife goes the extra mile.